The way how hotels are "star rated" in Paris is different from the capitalised system that we are used to in Singapore. The stars in France are given through 22 measurement criteria which aims to eliminates biasness. However, the criteria are based on physical attributes such as room size, soundproofing, heating and air-conditioning, design of bathroom facilities, phone system, elevators. This rating does not take into account the subjective quality criteria such as cleanliness, staff attitude and service. Before you book that 3 star hotel, read its reviews online (Tripadvisor)! 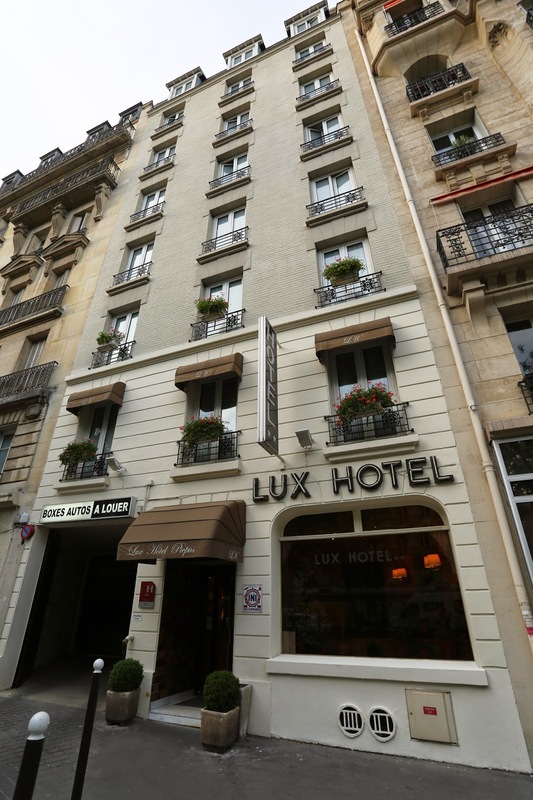 My family and I stayed at Lux Hotel Picpus for 4 nights in June 2013. Lux Hotel Picpus is located in Picpus. The area is from the 2nd half of the 19th century, with lots of wide streets and ornate apartment buildings. We decided to go budget and stay away from the touristic areas. We were pleased with our decision as there area is a typical French neighbourhood with many businesses in the area aimed at locals rather than tourists. There are plenty of amenities nearby such as 2 supermarkets (Casino and Monoprix), restaurants, bakeries, mini-marts and a major metro & RER interchange (Nation Metro Station). The staffs are helpful and are willing to give you directions to the nearby amenities. On one of the nights, we returned to the hotel late and most of the stores nearby were closed. I asked the staff at the reception area where I could buy water since the ones in the bar fridge were expensive. He went out of the hotel and pointed towards a mini-mart. If they were focused on making money, they would have just shrug their shoulders and forced me to buy the water in the bar fridge! They function with minimal amount of staffs but service is not neglected. There was an incident when my Dad got locked out of the room. We went down to ask for help from the hotel staff. It was hilarious as the staff had to lock the hotel's main door and rush up to get our rooms unlocked! The rooms are renovated and en suite. Clean and towels replaced daily. Free Wifi. Take note that there is no air conditioning or international TV channels. But hey, the average temeperature in summer is 25°C and why are you watching TV in Paris? Here are the pictures of my stay at Lux Hotel Picpus. We stayed in the Family Suite which came with 2 rooms connected by a private corridor. The bed configuration was 2 double beds and 1 single bed, great for a family of 5 like us! The Family Suite rates are from €146/S$254.04 per night. This is not an advertorial post. Room 1 with a double bed and a single bed. 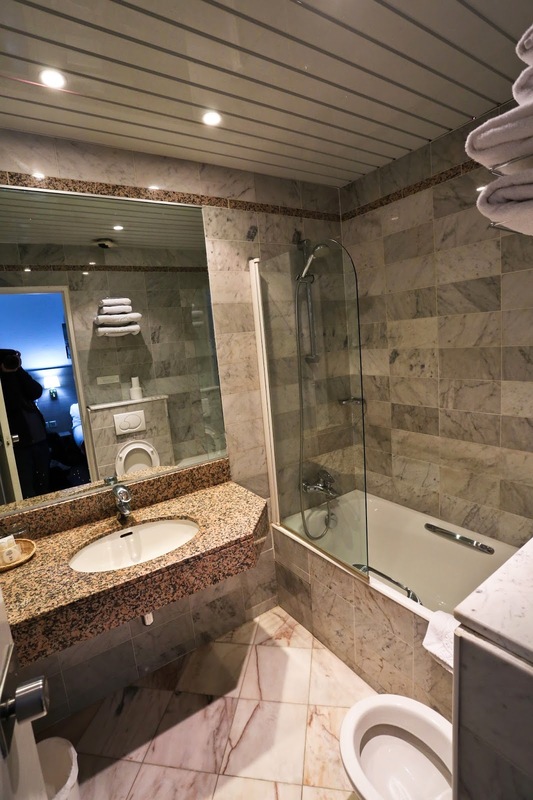 One of the room's bathroom had a bath tub! The second room. Unfortunately, I do not have a picture of the bathroom but it contains a shower instead of a bath. Room 2. with a Double Bed. The modest exterior of the hotel. Do not worry as there is a tiny lift which you can use. Not many hotels have lifts and this is definitely a plus point. My stay at Lux Hotel Picpus was lovely. It was a good hotel, away from all the tourist traps. You feel safe staying in this neighbourhood, far away from all the scam artists. If you are in this area on Wednesday or Saturday, be sure to visit the Marché Cours de Vincennes. Have a great time in Paris! - This is one of the few hotels in the city that can fit 5 adults in a room comfortably in Paris! - This hotel is well connected to the city. You may have to travel 20-30 minutes including walking time to get to the Paris attractions. 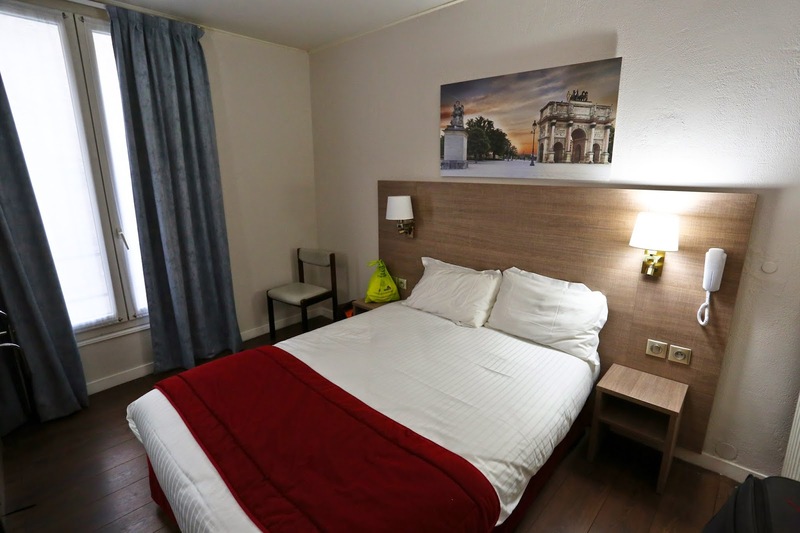 - The Picpus Metro is just 2 minutes away from the hotel but it would be better if you walked to Nation Station where there are many other train lines into Paris. - There is two supermarkets near the hotel. Monoprix is the biggest in the area. - You may experience some noise from the subway but they stop running at night.